Despite of the warmer-than-normal days for October, we can feel the autumn has been surely deepening in the village forest. 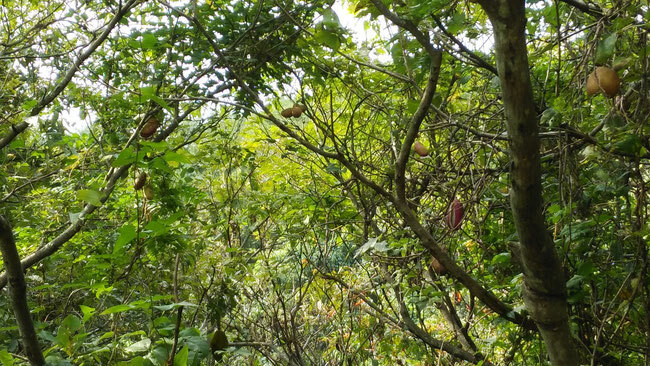 Many akebias can be seen in the picture I took yesterday, some of which are ripe and more than 10 centimeters in size. The skin color of ripe ones is similar to that of the passion fruit and the fruit looks the same as it has a lot of seeds inside.